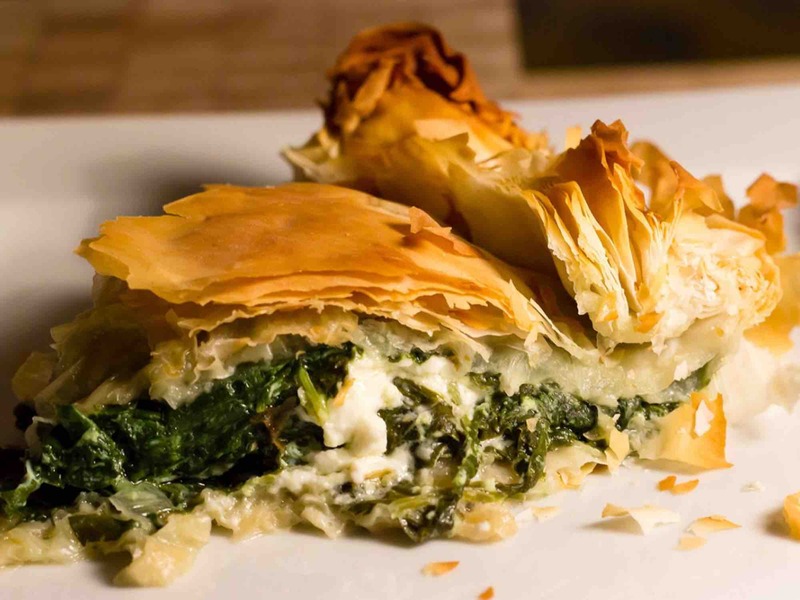 Albanian Food: Top Traditional Dishes To Try In Albania - Diplomat Hotels. Albania is an ancient country in Southeast Europe with a valuable cultural heritage. Albanian cuisine is part of that heritage. “Byrek” is the most popular traditional food in Albania. It is a delicious food made with dough layers filled with various tasty ingredients in between. Each Byrek can have its own unique fillings in between layers, thus, resulting in various Byrek recipes and flavors. The most popular “Byrek” recipes are “Byrek me Gjizë” (Byrek with Ricotta Cheese), “Byrek me Domate dhe Qepë” (Byrek with Onions and Tomatoes), “Byrek me Spinaq” (Byrek with Spinach), “Byrek me Mish” (Byrek with Meat). 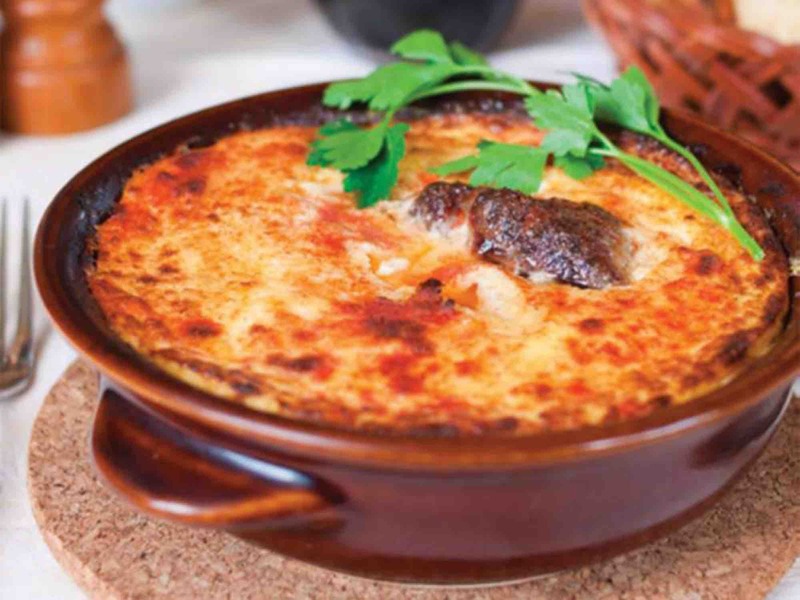 “Tava e Kosit” is an authentic Albanian dish that originates from Elbasan, a city near Tirana. This dish is now cooked widely all over the country. 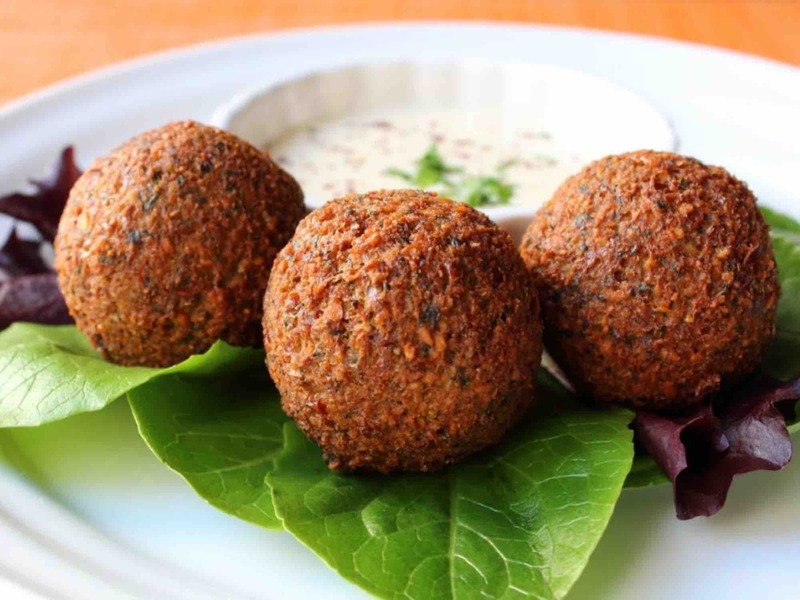 There are variations of the dish depending on the preferences but the main ingredients include lamb meat, eggs, and yogurt. Along with other herbs, the ingredients are then put in a casserole and cooked in the oven. “Bakllava” is a must try dessert in Albania. The recipe is of Turkish origin but Albanians have embezzled it throughout centuries. 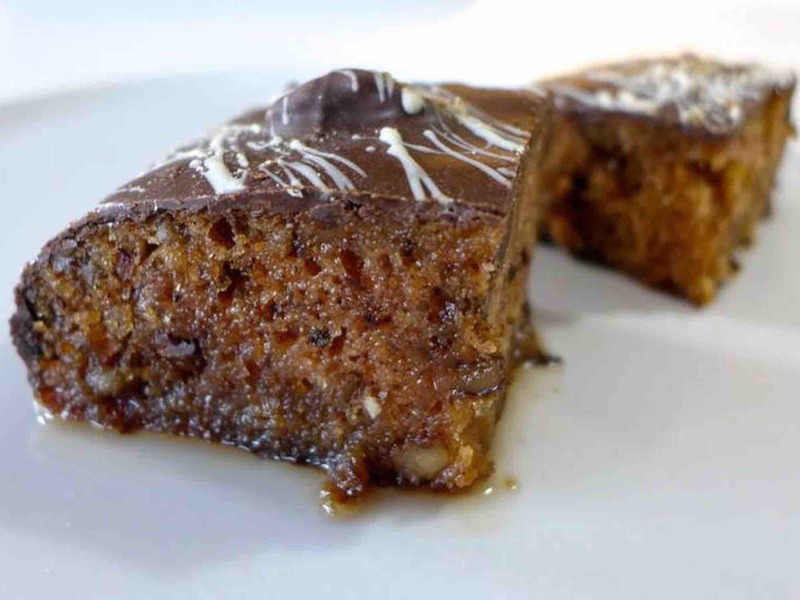 The mouthwatering cake consists mostly with dough layers filled with nuts and sugar. Often, sweet syrup called “shërbet” is added on top. 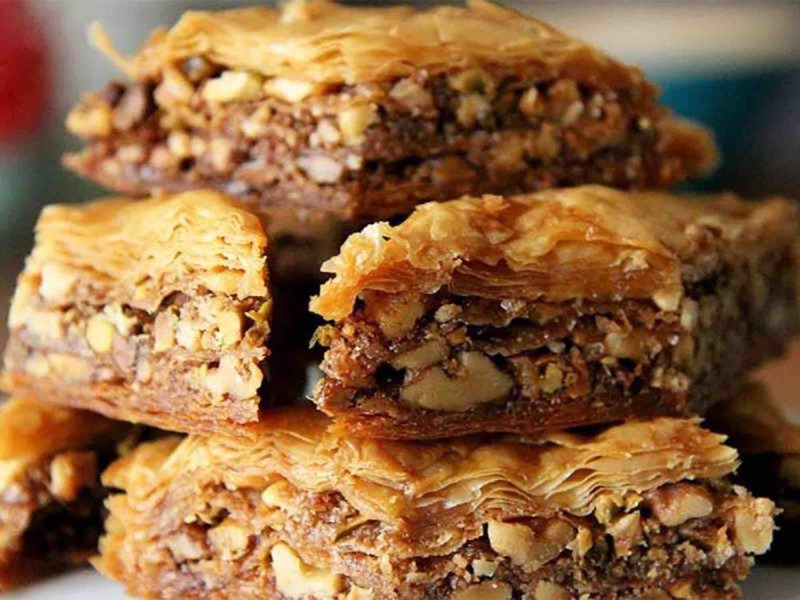 Various bakeries make their own variation of Baklava with their own preferred processes, ingredients, and size cuttings. “Speca të mbushura” is another authentic Albanian dish. The dish is quite popular, especially during the summer. It’s made of peppers stuffed with seasonal ingredients such as ground beef, onions, herbs, and tomato sauce. There can be a different combination of the stuffed mass depending on the region and the cooker. “Fërgesa” is another native Albanian dish. The dish is typical of central Albania so you will find it easily in cities such as Tirana. The tasty meal contains peppers, tomatoes, onions, cottage cheese, and spices. 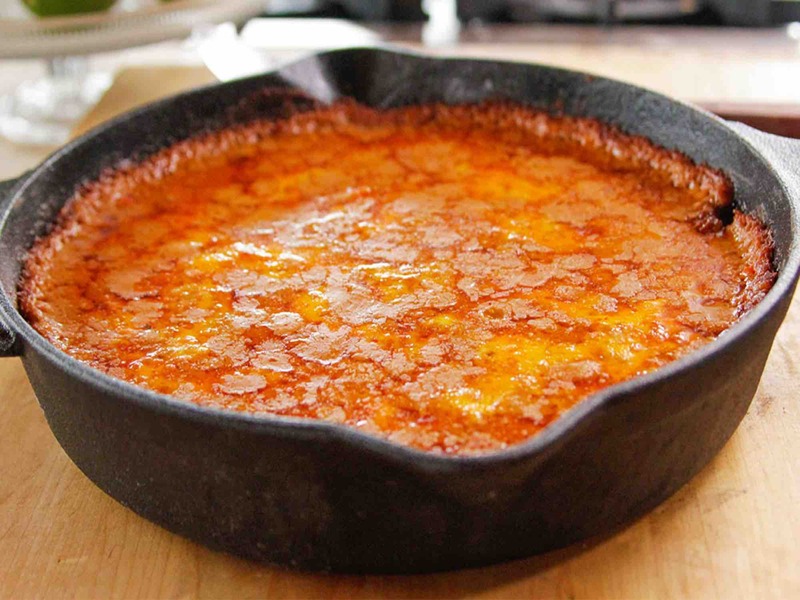 Once cooked, it results in a hot thick dip served into traditional heat resistant pots. “Fërgesa” is as tasty as it is simple. Get some bread and you now have a proper Albanian meal. “Qofte” is very popular across Albania, especially in local taverns. The locals usually season the meat with spices and mint and serve it with salad. A regional variation of “Qofte” is “Kernacka”, the meatball typical of Korça plain. Furthermore, this traditional Albanian food goes well with drinks such as beer. “Shëndetli” is a delicious Albanian delicacy. This dessert is a combination of biscuit and cake texture. Initially, the baked dough has a cookie feel. It later gains that full, sweet, and sensational taste. “Shëndetli” contains mainly honey, nuts, eggs, and sugar. 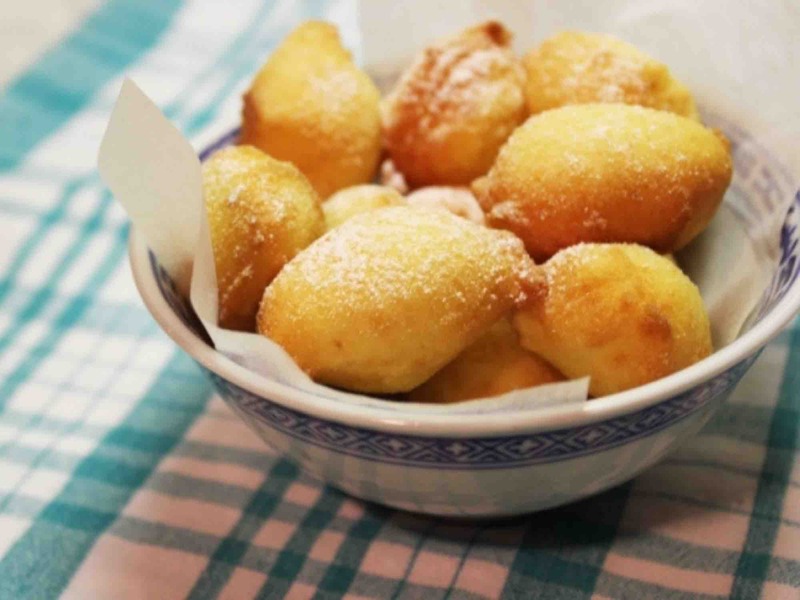 “Petulla” is the Albanian authentic version of doughnuts and pancakes. This dish is very popular in the typical Albanian cuisine. “Petulla” consist of fried dough put into fist-sized pieces. You can eat “Petulla” with additional cheese or make them sweet with honey. Along the Albanian Riviera, the waters supply the local restaurants with fresh fish and other seafood products. As a small coastal country, Albanian fish recipes keep food simple yet tasty. You can eat freshly caught fish in many places across the country. 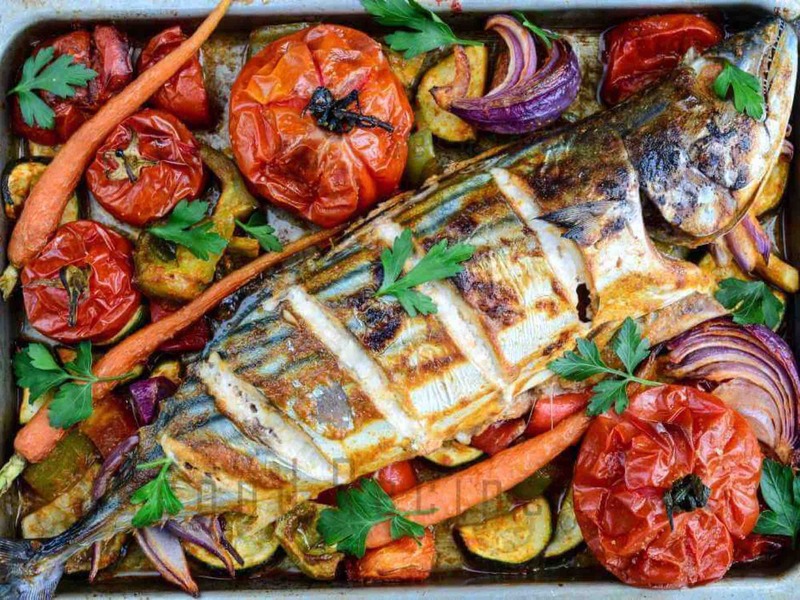 Oven-cooked fish is a true Mediterranean delicacy. 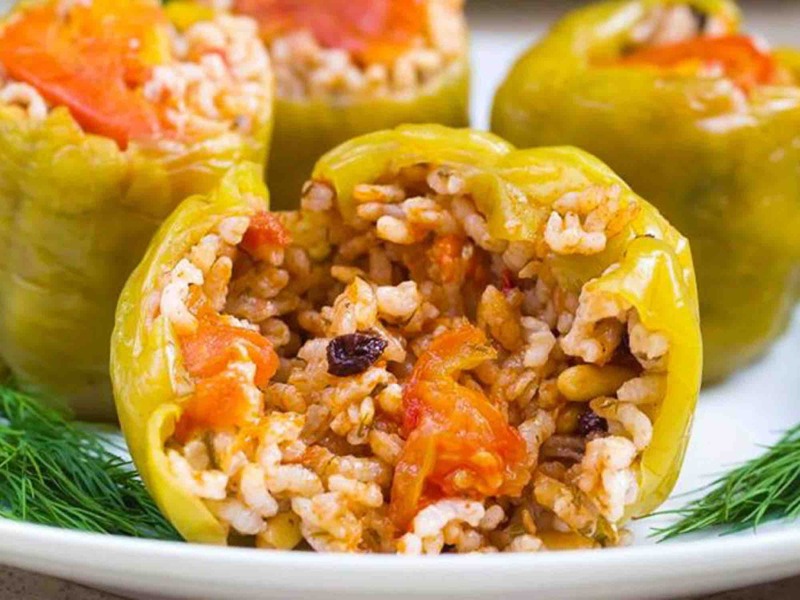 “Imam Bajalldi” is another Albanian dish of Turkish origin. Having been occupied by the Ottoman Empire for centuries, various Albanian recipes originate from Turkey. “Imam Bajalldi” is the perfect summer dish. 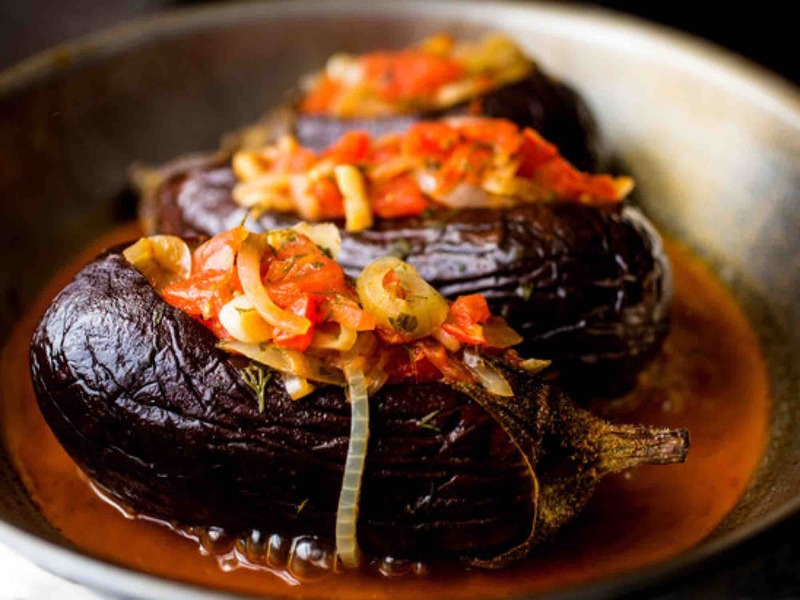 It is made of large stuffed eggplants cooked in the oven. Similarly, There are many variations of the recipe, therefore, the fillings may vary. Most versions include garlic, tomato puree, onions, and parsley.